Ketogenic diets are far easier said than done. 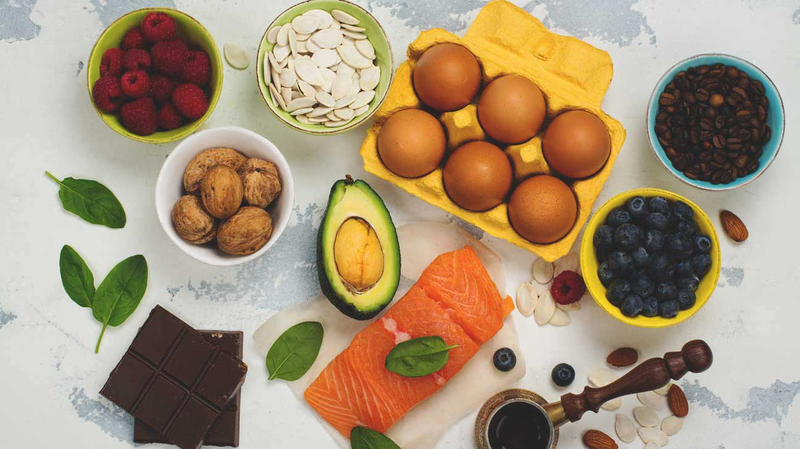 Popularized by weightlifters and nutritionists alike, the ketogenic diet (also known as the keto diet) claims to help you lose weight while still eating your favorite foods—like lean meats, eggs, and dairy. However, the ketogenic diet is completely reliant on your body’s ability to remain in ketosis. Entering and maintaining ketosis isn’t easy—and interfering with ketosis or entering it without practicing proper nutritional habits can spell disaster for your new diet. Whether you want to build muscle or simply lose weight, here are the 4 biggest mistakes people make on the ketogenic diet—and, how you can avoid them. Like any lifestyle change—and especially for one as drastic as a Keto diet—you’re going to experience some unfortunate symptoms during the transitional period. Bodies are big fans of consistency—which is why consistent sleepers sleep the best, or why routines are some of the most effective parenting techniques to implement. Jumping right from 3,000 calories a day to strict, intensive keto is going to cause quite a few problems. There’s a state of being referred to as the keto flu that you’re most than likely to experience when making the jump. Your body will drain the remainder of the food in your stomach, then it’s glycogen reserves, before finally entering ketosis. That transitional period is quite similar to fasting or starvation, and your body can and will fight you on this. Going cold turkey and not giving yourself time to get used to the keto diet—especially if you don’t normally eat keno-friendly foods—is setting yourself up for failure. Our solution? Take a week or so and eat keto-friendly foods without thinking too hard about your macros. Consider cutting calories slowly as well. Then, enter ketosis when you know you’re ready to stick to the program. Much of the popularization of the ketogenic diet comes from the allowance of many foods people love—like eggs, cheese, milk, peanuts, and similar products. And while it’s true that keto can be maintained with moderate levels of all of the above foods, what tends to happen is an overindulgence of dairy at the cost of your weight loss plan. Dairy (and most nuts) is high in fat and low in carbohydrates, sure—but it’s also high in calories. The keto diet makes it easier to lose weight of course, but if you neglect your calorie counts, no amount of keto is going to fix that problem. If you’ve been on ketosis and you’ve seen the numbers on your scale going up instead of down, consider cutting back on dairy and nuts. While it’s not necessarily the problem that everyone has, it might be your problem area. The sooner you uncover the calorie-rich substances holding you back, the sooner you can meet your fitness and weight loss goals. For those unfamiliar with the concept, “dirty keto” is a popular way of expressing how some people approach the ketogenic diet. For reference—the ketogenic diet relies on a low intake of carbohydrates, combined with a moderate intake of proteins and the largest intake of fats. These macronutrients, or better referred to in the ketogenic community as your “macros,” are vitally important to keep up with if you’re hoping to maintain ketosis for an extended period. Many people look into keto diets and stop right at the first suggestion—low carbs. Hoping to enter ketosis by only working on your carbohydrate intake and little else is referred to as dirty keto. The issue with dirty keto, as the name implies, is generally from its lack of nuance. Much like with our tips about dairy, you may be following dirty keto and still going well above your required daily value of calories. Likewise, you could be consuming too much protein, which has been shown to increase the risk of blood clots. There are a host of ways that you can embark on dirty keto, yet never truly enter ketosis—or begin your weight loss routine. Fixing this common problem is simple. Search online for one of the many ketogenic calculators, figure out your macros, and stick with the diet, 100%. Finally, and building upon our last point, the last major problem people tend to face when entering the ketogenic diet is just plain winging it. There is a myriad of websites and forums you can consult to ensure that you’re following the ketogenic diet with the precision and macros necessary to help you enter ketosis. Trying to embark on a ketogenic diet without planning out your macros (dirty keto) or figuring out which foods are good to eat can be a dangerous game to play. Keto diets rely on fats, proteins, and carbs, sure—but you still need all of the vitamins and minerals out of your food to keep you healthy. Not paying enough attention, especially when embarking on a specific diet such as this, is just asking for trouble. Online resources (as well as your local general practitioner) are there to help in any way possible. Want to go on keto but have a sweet tooth? There are low carb peanut butter cookies you can order to have your cake and eat it, too. Literally. Outside help doesn’t just keep you on track and make sure you’re healthy. Many places are ready and willing to provide the support you need to stick with your keto diet. This is especially helpful if you’ve chosen to go on the keto diet without a friend or an accountability partner making sure you meet your goals. With these four mistakes (and their solutions) in mind, you can feel confident going out to the grocery store and getting the right foods for your diet. The keto diet is involved, but if you stick with your macros and keep healthy, the results will speak for themselves. There are majorly 2 types of techniques for hair transplant i.e. FUT & FUE. The FUT hair transplant cost in India is Rs. 25-40/graft while FUE hair transplant cost in India is Rs. 30-45/graft. 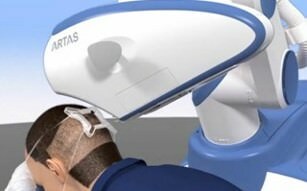 Though there is other technique called Robotic hair transplant that is bit costlier but provides the perfect results. In India, there are various online health portals like Clinicspots, Practo and dr. Batra etc. which helps you to book an appointment with best hair doctors and clinics across India. It is the most used technique for hair transplant. Under this method, the follicular units are extracted from the donor area manually. After this, the extracted grafts are transplanted to the bald area one by one. Local anesthesia is giventhough it is a stitch-less technique of doing a hair transplant, so it doesn’t cause pain. The recovery time is also not high. It is a traditional way of doing a hair transplant. 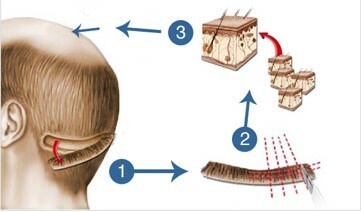 In this method, a strip of hair is taken out from the donor area. Now, the strip is divided into grafts that consist of 3-4 hair. After that, the grafts are planted to the bald area. Local anesthesia is given to the patients, Also, this technique is a bit painful as it involves stitching. This is the latest technique of doing a hair transplant. It is a more advanced way of doing FUE hair transplant. In this, grafts are extracted from the donor area by a robotic limb and planted in the bald area providing accurate results. • Pain: You might feel pain after the surgery for a couple of days. For that, you should take painkiller as advised by the doctor. 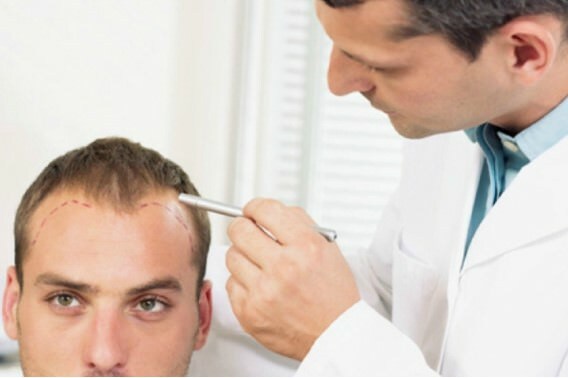 • Scar: In FUE, there is just pore-like scars that are not even visible and in FUT, there is a linear line scar that can also be hidden by proper stylingyour hair. • Bleeding: In case of FUT, there can be a case when the bleeding happens as it involves cuts, but the bleeding gets stopped as the time passes by. • Itching: This is the most common problem faced by many patients. In this case, you just wash your hair with some medicated shampoo to remove the scab the are formed around the graft sites. • Swelling: There can be a situation when your eye or forehead get swollen, but don’t panic it will get normal within a few days. • Numb: For a few days, you won’t feel the donor area on your head as local anesthesia is given. Digital well being has been a buzzword for nearly a decade—now it’s time to transfer from the hype stage to fully operational. Making an allowance for the beforehand talked about reasons, The Worldwide Conference on Vitamin 2017 was chosen to be held in Osaka, Japan. In his present role at Salesforce, Dr Newman is chargeable for success across provider, payer, pharmaceutical and medical device and diagnostics firms, and for Health Cloud, Salesforce’s flagship healthcare trade product. Public reporting of outcomes would enhance this example as it will imply we’re not reliant on promoting and the experiences of household and friends or the rapport we have constructed with our health professionals. The Online Studying Consortium organises the OLC Accelerate 2017: Accelerating On-line Studying Worldwide, to be held November 15-17, 2017 at the Walt Disney World Swan and Dolphin Lodge in Orlando, Florida. July 27th-29th 2016- 2016 Enterprise Writers Convention which will happen at Brasstown Valley Resort & Spa, Younger Harris, GA. I am the main point of contact for this conference so if there’s any questions, discover my e mail below and I might love to help! Convention to be held on Saturday, July 16, 2016 on the Southeast Missouri State University Middle in Cape Girardeau, MO Middle. The conference is co-sponsored by the Stanford Wearable Electronics Initiative (e-PUT ON). As an entire, the healthcare business has long-since aired its frustrations about clunky electronic health data that take the joy out of medication. Digital Healthcare‘s devoted exhibition will house the world’s leading digital healthcare suppliers in areas together with Wearables & Apps, Large Knowledge & Analytics, Cloud Computing, Remote Monitoring, Care-Coordination and Cyber Security, Inhabitants Health and Digital Patient Information.